The Swedish Labour Policy Council was an independent expert council financed by the Confederation of Swedish Enterprise. The Council was established in 2015. In April 2018, the Council ceased to exist due to the decision of the Confederation of Swedish Enterprise to discontinue the funding of Council. To guarantee independence, the Council’s budget was decided for three years at a time and the Confederation did not have access to the Council’s material before publication. During its period of operation, the Council was tasked with analysing the effects of wage setting, active labour market policies and labour law on the labour market. In addition, the Council was to analyse how the level and structure of wage growth affected employment and, in particular, how wage setting could contribute to reducing unemployment in the long run. The Council was chaired by Professor Lars Calmfors, Stockholm University and the Research Institute of Industrial Economics (IFN). The other members were Professor Ann-Sofie Kolm, Stockholm University, Professor Tuomas Pekkarinen, VATT and the Aalto University, Helsinki, and Professor Per Skedinger, the Research Institute of Industrial Economics (IFN) and Linnaeus University. If you want to contact the Council’s former members, you can do so on the following e-mail addresses. Please send general questions regarding the Council and its publications to the Council’s former secretary, Simon Ek. Time for Larger Wage Dispersion? 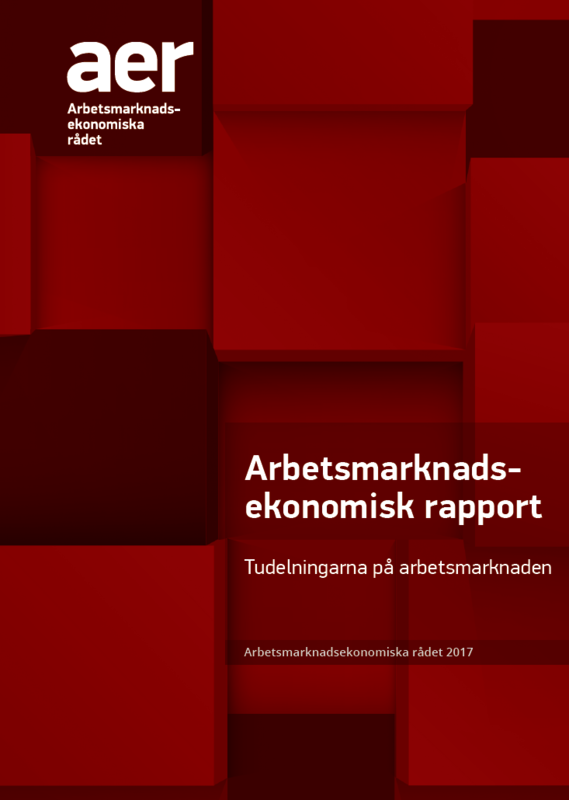 The Councils second report was published in February 2016 and analysed the effects of minimum wages, wage dispersion and deteriorating skill levels on the Swedish labour market. 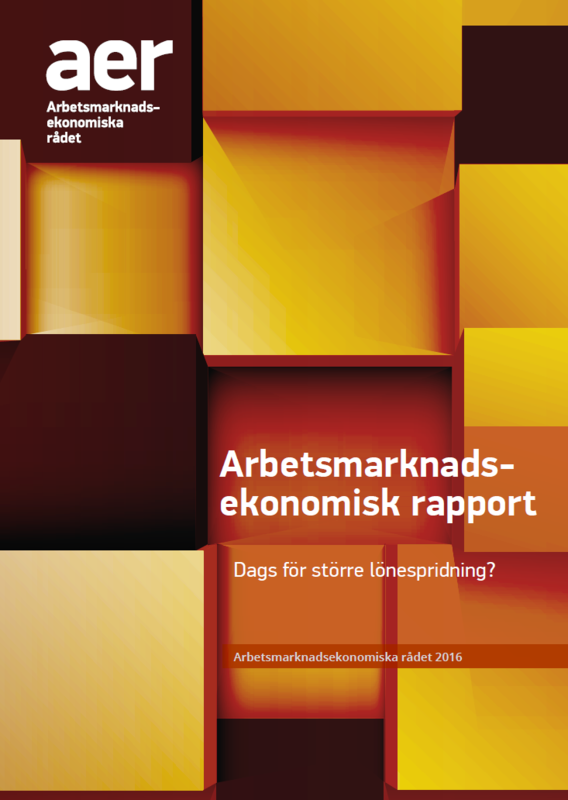 This report studies three different dualities on the Swedish labour market. First, it shows that the difference between natives and foreign born in labour market attachment is underestimated when only taking into account employment and unemployment rates. Secondly, it studies the differences between fixed-term and permanent employment. Lastly, the different expected future development of tradable (manufacturing) and non-tradable sectors are discussed. This may cause problems for the pay bargaining norm, according to which the so called cost mark set by the tradable sector is to be followed by all other sectors. During the 1990s, Germany was occasionally called the ”sick man of Europe” due to its low employment rates and competitiveness on the global markets. Since the beginning of the 2000s, however, Germany has seen a remarkable recovery. 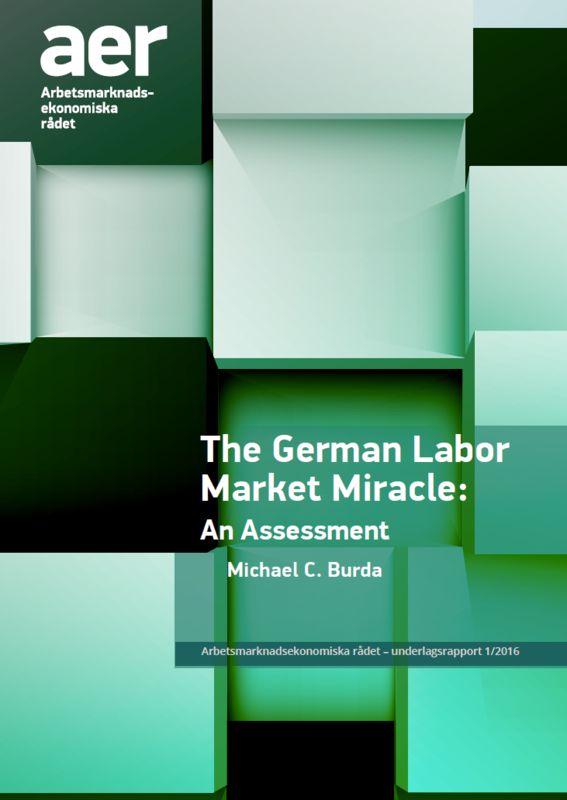 This background report was written by Michael C. Burda and analyses this so called “German labour market miracle”. Slides: How does refugee immigration affect low-skilled in the labor market? AER seminar: what can we learn from the German labor market miracle?